You’ve probably thought about what you’d like to accomplish in 2017. I sure have! Most people talk about “resolutions” for the new year, but did you know that most resolutions are forgotten before the end of January? In fact, one statistic says that only 8 percent are accomplished! So, instead of resolutions, I want to talk about goals for the new year. People take goals seriously. When thinking about your goals, you need to know why you want to do something. If you don’t know why, then you won’t care enough to actually stay on track and succeed. We originally moved to the country so we could grow our own food organically so we would be healthier. There was no doubt in my mind that most of the junk in the supermarket was not fit for human consumption. But maybe you want to raise chickens for eggs because you enjoy working outside with animals and want to quit your 9 to 5 office job. What is your “why?” Even though our goals may be the same, the “why” may be completely different. And if your “why” isn’t compelling enough, you won’t try very hard. What does success look like to you? Is it a lifestyle? Is it the food that’s on your table? Is it how you spend your days? 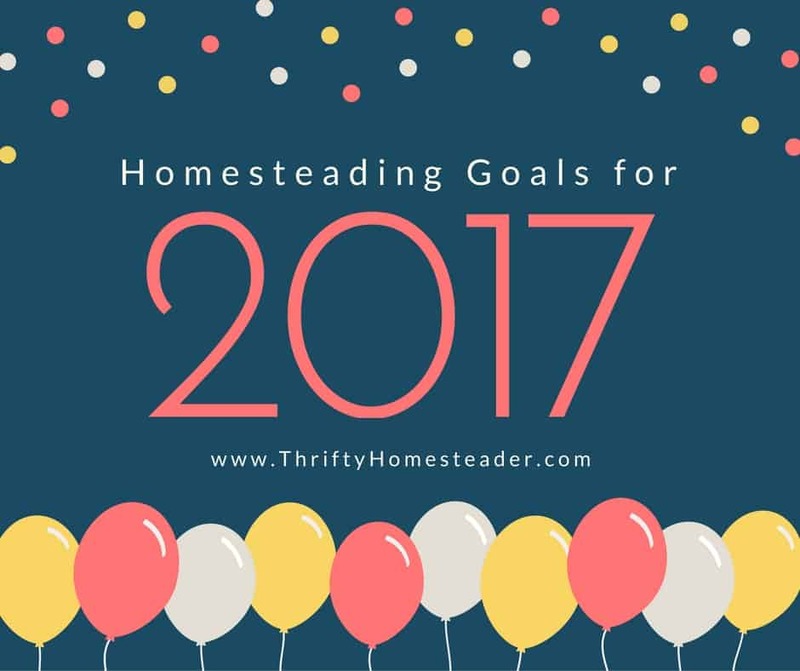 How will you know when you’ve reached your homesteading goals? When I write a book, I don’t sit down at the computer and tell myself that I have to write 300 pages. Instead, I concentrate on one chapter at a time. Rather than saying that your homestead will be a success when you’re able to quit your day job or when you’ve earned $100,000 a year, set smaller goals that you need to reach along the way. Then celebrate those successes. If you don’t do this, you are guaranteed to fail. You have to look at all of the things you want to do, and then schedule the most important things first. There is a story about a person who tried to put a bunch of rocks, pebbles, and sand into a jar. When you put the sand in first, there is no room for the rocks. But if you put the big rocks in first, then you can figure out where to fit the smaller rocks and pebbles, then you can fill in with the sand. This is a perfect metaphor for life. If you don’t take care of your big priorities first, you won’t get them done. When we moved out here, we just wanted to have chickens for eggs, goats for cheese, a few fruit trees, and a small garden. As we reached those goals, we’ve added more, and for the past eight or nine years, we’ve been producing 100 percent of our own meat, eggs, dairy, maple syrup, and a lot of our fruits and vegetables. Producing our own maple syrup and honey were not on my radar in 2002. And because we were vegetarians, we were not thinking about producing any meat at all. Don’t beat yourself up if you don’t reach every goal. Sometimes as you get closer to a goal, you realize that you didn’t really want it after all. After a few years with lots of success, we decided that we needed to shear our own sheep. Yeah, right! What had been a five-minute per sheep job by a pro turned into a 45-minute per sheep job for us newbies. After spending two days shearing sheep, we decided that we didn’t have to be that self-reliant. We could hire a shearer to come here once a year. Most people don’t succeed alone — at least not without a lot of pain and mistakes along the way. Find a mentor and a support group or two. 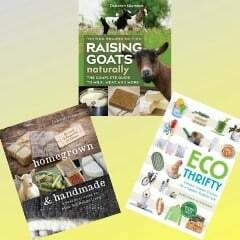 You can join my Thrifty Homesteading group on Facebook, as well as tons of other groups on various topics related to livestock, gardening, and health. 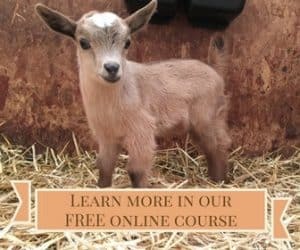 If you have Nigerian dwarf goats, I also have an online community for those who love the littlest dairy goats. We want to get started next year, so have tons of questions! It would be great to be able to talk to someone about it all! Planning to restart and recharge my small backyard farm into productivity, some income and also educate my community. 2016 taught me to let go of negativity and I am ready to spring into action in 2017. And do what I like most- be with nature. Have veg raised beds, chickens , some fruit trees but loads of questions as I need solutions or answers to all the failed attempts in the past on homesteading.